If I could live in one clothing item forever, it would have to be printed dresses. I adore whimsical, dreamlike prints and the memories and thoughts that prints can evoke; this print is absolutely no exception. This whimsical print has me dreaming of days past, vacations to come (hopefully), evening walks in Venice, and all-around adventures that have yet to be experienced. I’m day dreaming in this dress…heading towards the direction of my dreams. 2) Oasap has really great pieces for amazing prices. You can find this dress here. I also adore this version here. For $15-$25, you cannot beat how unique the dresses are. There’s currently a sale for an additional 20-25% off all items, including sale prices. In order to ensure the dress would fit (as I was shopping online), I pulled out my tape measure and, sure enough, the dress was definitely the size that was listed online. Additionally, I found the quality of the fabric to be quite good. This dress has a nice brocade/stiff feeling to it that gives the dress great shape, while still being comfortable. A special thank you to Oasap for the opportunity to check out their amazing clothes. I’ll definitely be back for more unique finds! Anyone else have a love of romantic prints? Tips for styling? Thanks so much for stopping by, readers! I appreciate it so much! I LOVE this look hun! that dress is stunning! Such a cute dress…..you look adorable. LOVE this look! By far one of my favorite Fashion Huntress looks to date! i am obsessed with the dress! love love love. 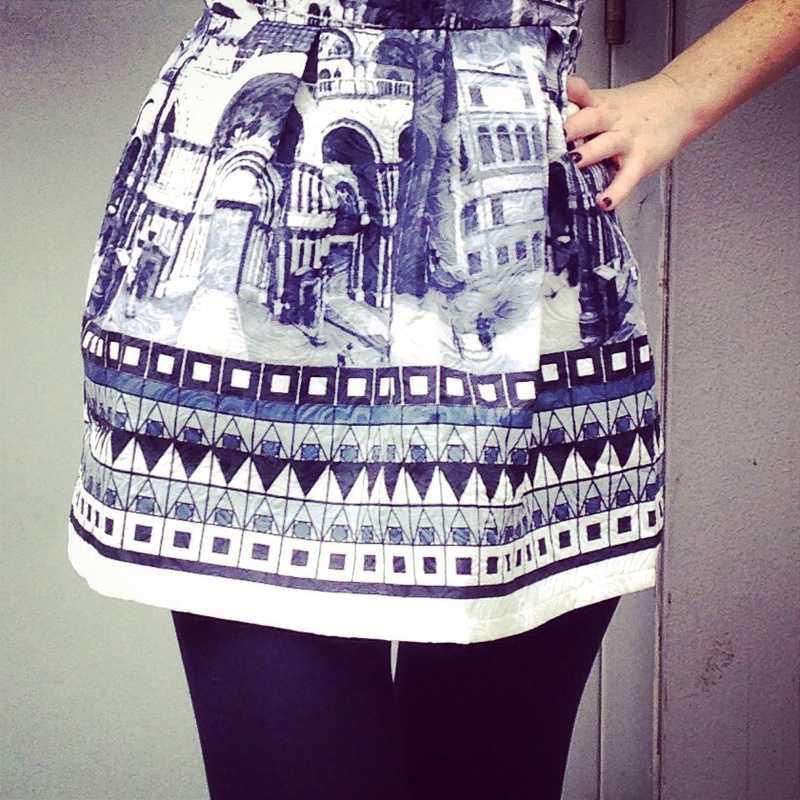 I totally agree with you about printed dresses. Can’t live without them! 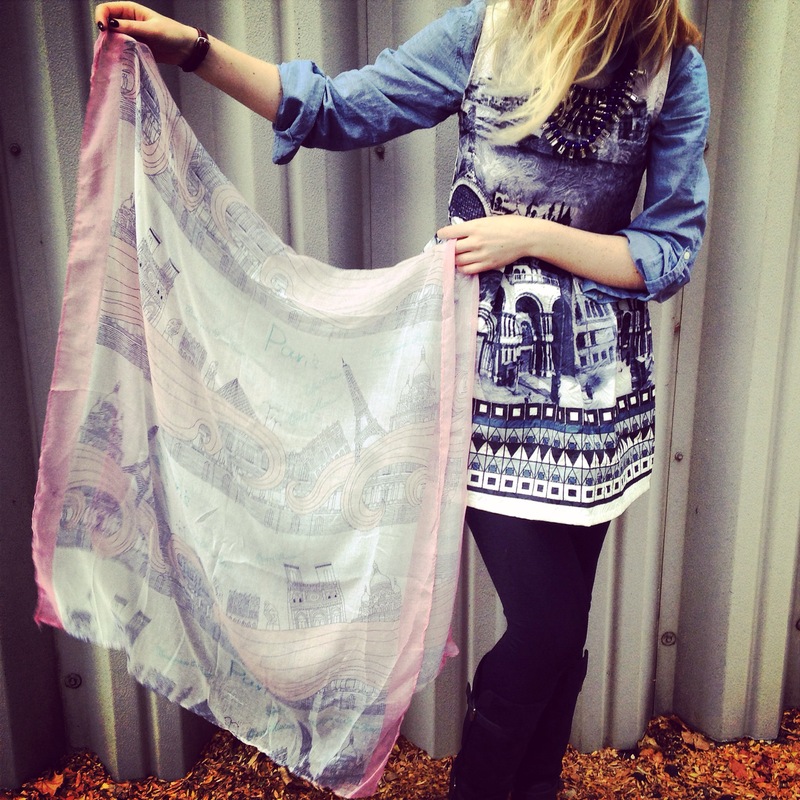 The idea of pairing a printed scarf with a dress like this is really intriguing…I’ll have to try it! Definitely! Let me know how it goes if you do :)~! I love whimsical prints too so YES I LOVE THIS! AMAZING! 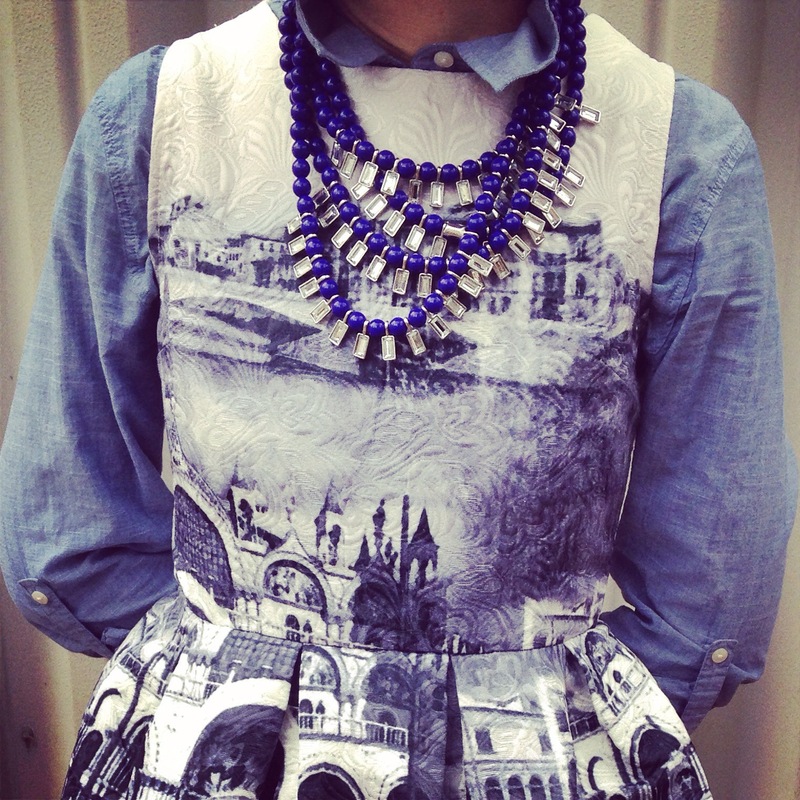 and love the layering of the dress and shirt…ahmayzing! 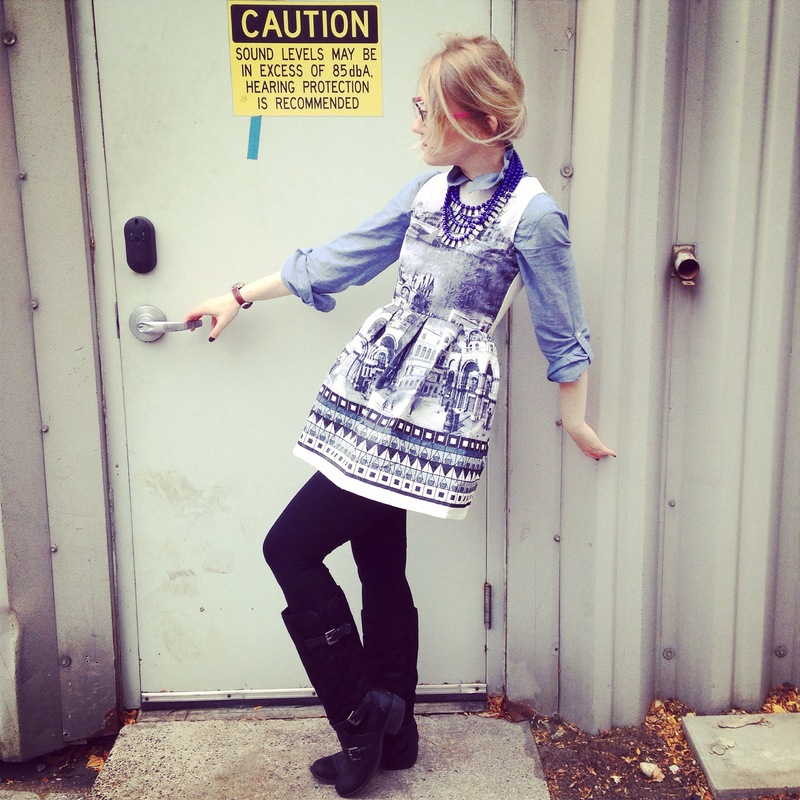 A very pretty look…i am also a die hard fan of printed dress…just love your look! I just ordered a couple of stuff from oasap toooo! Hifi hifi 👐👐 its an amazing website. Hopefully I’ve given the sizes right too! Such a pretty dress !!!! Woah! Super cool dress!! I love everything about this it and how you’ve styled it. And great boots. Is it a digital print? just kidding. thanks for the info on Oasap. absolutely love your dress (and necklace)! LIterally just choked on my coffee when I saw this AMAZING dress! Work it girl! Super cute! 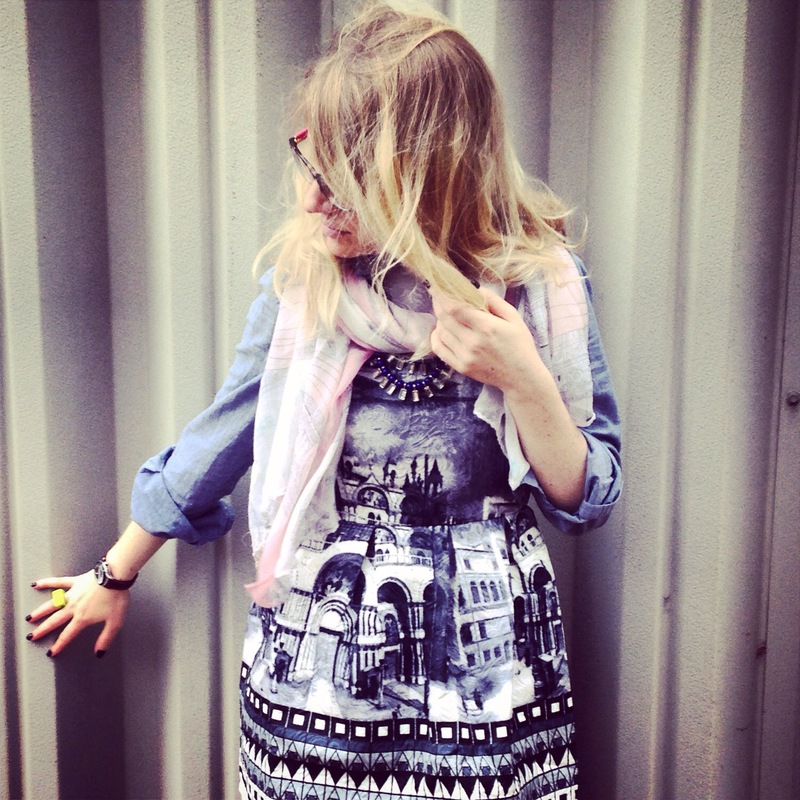 I do love a good printed dress – this one is no exception! Your dress is freaking amazeballs. I love the detail. So so beautiful. Oh this dress is stunning! 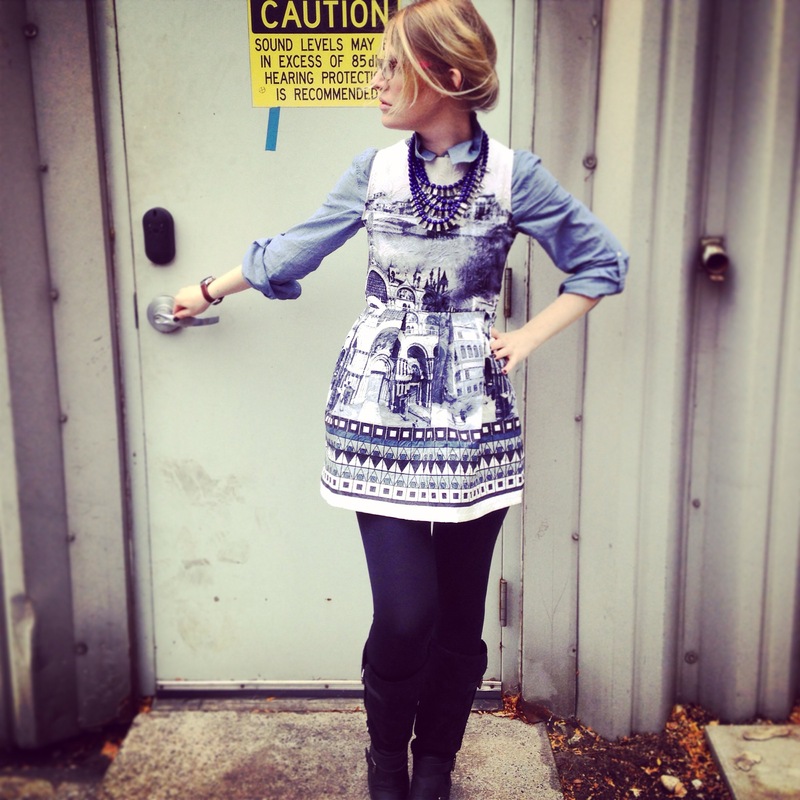 Your printed dress is beautiful! Your outfit is wonderful and I love the styling tips too – thank you! I just found your blog and it’s so much fun! The architectural drawings suit you. Congrats!